Does IIoT Rewards Outweigh Risks for Supply Chain? Does IIoT Rewards Outweigh Risks for the Supply Chain? 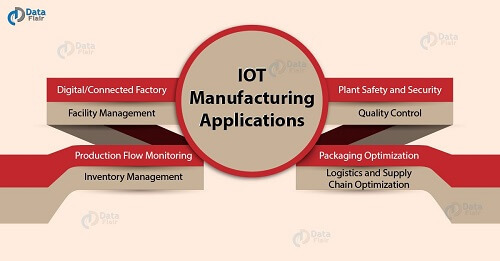 Editor's note: The IoT and the industrial IoT (IIoT) provide the capability for all stakeholders in the electronics supply chain to seamlessly connect and share critical data. Visibility from the moment a component begins production through its end-of-life is possible through these leading-edge applications. 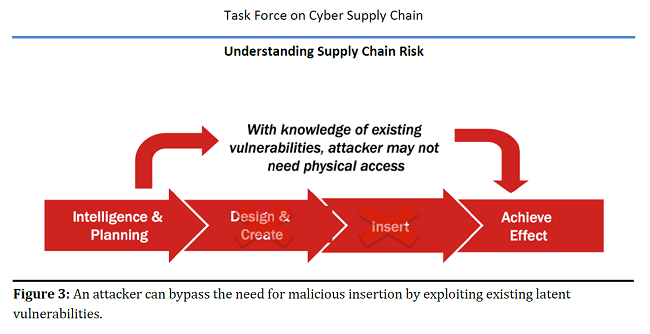 But there are also real dangers to the networks that link supply chain partners. AspenCore's Special Reports team takes a look at the state of the IIoT--and its vulnerabilities. The wind farm hack was an experiment to show just how easy it was to do. The manufacturing robot hack hasn’t happened yet — as far as we know — but the ease of intruders gaining control of industrial robot systems has been demonstrated by several industry groups. What do these all have in common? 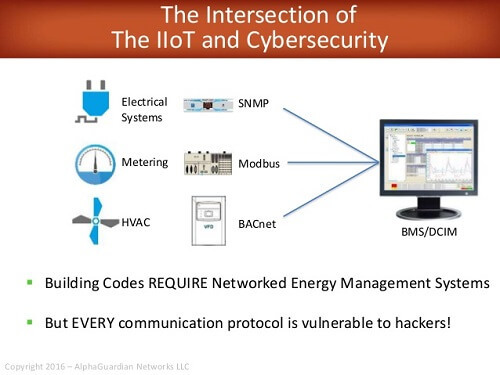 The systems that got hacked and/or compromised were industrial control systems (ICS), a central part of operational technology (OT) networks that form, along with IT networks, the industrial internet of things (IIoT). As more and more devices get connected to IIoT networks, many of the increasingly sophisticated cyberthreats originally directed at IT environments are now entering OT environments, including ICS. These threats pose very different and potentially larger, more hazardous risks as they migrate to OT environments. Targets may include critical infrastructure such as power grids, dams, oil rigs, chemical processing plants, manufacturing plant equipment, and production lines. Although the typical image of a cyberattacker is an outside hacker (usually wearing a hoodie), note that not all of the attackers in the list above were outsiders: Some of these events were inside jobs, which many companies see as their greatest threat. Potential internal attackers could include disgruntled ex-employees who may still have access to the control system, said Chris Sistrunk, principal consultant for industrial control systems at FireEye’s Mandiant cybersecurity service. Sistrunk told us about the Australian water and sewage company’s attack and, more recently, a Louisiana case wherein an engineer who was let go still had remote access from home and shut down a paper mill. Other attacks have been executed by presumably trustworthy third parties. For example, a fake official pretending to do a fire inspection could easily introduce a piece of malware to enable an attack by inserting a USB stick into a computer attached to an internal network, including those located at a remote facility and connected to the internet. Another example of third-party breaches is one event among the additional Russian hacks of U.S. power grids and other critical infrastructure revealed in March this year by the U.S. Department of Homeland Security (DHS). Attackers got access via spear-phishing emails sent to equipment maintenance staff, who have legitimate remote access, to steal their login credentials, said Phil Neray, vice president of industrial cybersecurity for OT cybersecurity firm CyberX. Even with some of the best physical security in place, that’s not enough to protect physical assets in a cyberattack, said Andrea Carcano, chief product officer and co-founder of Nozomi Networks, who told us about the food and beverage product hack. That company still doesn’t know if the change to its process code was introduced by external malware or someone inside the plant. In factories and other industrial settings, the IIoT is often heralded as the answer to many challenges. The connectivity assists in productivity, efficiency, and profitability. For utilities, it also helps manage demand. In public infrastructure, it assists governments to deliver better services more effectively and economically, including public safety. But the IIoT and microprocessors are emerging battlegrounds for cyberattacks, according to the global 2018 SonicWall Cyber Threat Report. Both areas are also often overlooked and unsecured. In 2017, there were 9.32 billion malware attacks and more than 12,500 new common vulnerabilities and exposures worldwide. Data breaches and cyberattacks overall are seen by executives as the No. 1 business, operations, and financial risk, to the extent that Lloyd’s of London considers them a greater threat than catastrophic natural disasters, says the report. That perception is echoed in the 2018 World Economic Forum Global Risks Report (Cyberattacks are the risk of greatest concern to business leaders in advanced economies) as well as the 2018 21st CEO Report from PricewaterhouseCoopers (PwC) (North American executives said that cyberthreats are the chief threat). In just the last couple of years, a perfect storm of conditions and trends has led to a huge jump in the number of cybersecurity events targeting the OT side of the IIoT. We detail the elements of that perfect storm in a companion article in this special report, “What Makes IIoT Systems So Vulnerable to Cyberattacks?.” This jump includes discoveries of vulnerabilities in industrial control or related hardware and software, cyberattack incidents, and actual breaches. As defined by the Verizon 2018 Data Breach Investigation Report, in cybersecurity-speak, an incident is commonly understood as “a security event that compromises the integrity, confidentiality, or availability of an information asset" (Translation: The barn door is open, but the cows haven’t left), while a breach is “an incident that results in the confirmed disclosure, not just potential exposure, of data to an unauthorized party” (Translation: The cows have now gotten out). This report identified more than 53,000 overall cybersecurity incidents and 2,216 breaches around the world in multiple industries during the previous 12 months. The increase in ICS-related events can be appreciated by looking at a sampling of events in 2018 contrasted with a sampling of those between 2007 and 2014. Between 2007 and 2014, the first three malware types targeting ICS were developed: the Stuxnet worm, the Havex/Backdoor.Oldrea remote access Trojan (RAT), and the SCADA-targeting version of BlackEnergy. In December 2016, cyberattackers began ratcheting up their efforts against industrial systems with release of the fourth, the Industroyer/Crashoverride malware framework that shut down large parts of the Ukraine energy grid. During 2017, both industrial and more broadly targeted cyberattacks escalated. While the WannaCry and NotPetya ransomware attacks were capturing world attention by revealing Windows vulnerabilities, DHS warnings to manufacturers and infrastructure owners about ICS vulnerabilities jumped. In October 2017, those warnings became reality when DHS and the FBI issued a joint technical alert stating that attacks were now targeting the ICS of U.S. manufacturers and the previously known energy, nuclear, and water organizations. The alert also revealed that all of those attacks comprised an ongoing, long-term campaign by unnamed actors targeting small and low-security networks as vectors for gaining access to larger, high-value networks in the energy sector. Last December, a new type of malware targeting industrial processes struck an unnamed foreign critical infrastructure facility. The TRITON/TRISIS malware framework was the first designed to attack an industrial plant’s safety systems connected to ICS, making this a watershed event. It also targeted a specific hardware model. Cyberthreat activity within the industrial environment is definitely increasing, said Dragos’ Slowik. His firm extensively analyzed the TRITON/TRISIS attack and identified the malware’s inventors. 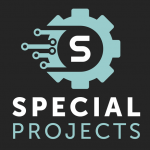 According to the Pwnie Express 2018 Internet of Evil Things report, 85% of security professionals believe that cybersecurity threats will lead to an attack on major critical infrastructure over the next five years, and that opinion was echoed by many of the cybersecurity experts to whom we spoke in preparing this special report. The annual Kaspersky Lab survey of global OT/ICS cybersecurity practitioners at industrial organizations, The State of Industrial Cybersecurity 2018, found that more than half view the increased risks associated with connectivity and integrating IoT ecosystems, in addition to the management of these risks, as a major OT/ICS cybersecurity-related challenge. That report also cited new challenges from a growing percentage of organizations that are deploying both IIoT systems and cloud solutions for SCADA systems. More than three-quarters of respondents believe that their company will likely be the target of a cybersecurity incident affecting their industrial control networks. It’s not only industry executives and cybersecurity professionals who are concerned about cyberattacks and vulnerabilities. More than half of critical infrastructure operators in the energy, utilities, and manufacturing sectors said that they weren’t confident that either their own organizations or other infrastructure companies are protected from security threats to their OT environments, according to a poll released this spring by industrial cybersecurity firm Indegy. As has been noted in previous studies of ICS/OT cybersecurity readiness, both awareness of and budgets for ICS/OT security have been increasing, yet protection levels are low. According to a study conducted last year by CyberX, the Global ICS and IIoT Risk Report, one-third of OT networks with ICS-controlled processes are exposed to the public internet. Of more concern is how few are protected against that exposure. More than half use easily hackable plain-text passwords in control networks, and half lack anti-virus protection. More than 75% run obsolete Windows systems like XP and 2000 unsupported with security patches, while 82% run well-known remote access management protocols, making it easier to access and manipulate network equipment. Twenty percent have wireless access points, which can be compromised in multiple ways. Last year, information security researcher Jason Staggs from the University of Tulsa, Oklahoma, demonstrated how he could take control of entire networks of wind turbines at U.S. wind farms using just a Raspberry-Pi-based card with a cellular or Wi-Fi module for remote access to programmable automation controllers. Staggs and his colleagues would have been able to cause significant damage or loss if they’d been real attackers. In a report in Wired on his research, Staggs reportedly said, “They don’t take into consideration that someone can just pick a lock and plug in a Raspberry Pi.” The turbines that his team broke into were protected only by easily picked standard five-pin locks or by padlocks that took seconds to remove with a pair of bolt cutters. But regardless of how cyberattackers get into an insufficiently protected OT network, once they’re in, they can move around the network and compromise or control industrial devices relatively easily. The types of cyberattacks that can be made, and the types of effects that threat actors are after, vary widely. Example scenario of the potential consequences of a wind farm ransomware attack, as demonstrated by information security researcher Jason Staggs at a talk given at Black Hat USA 2017. Several cybsecurity experts pointed out the importance of possibly unintentional effects of attacks originating either inside or outside the company. In giving examples of commodity non-targeted versus professional targeted instances, Dragos’ Slowik identified the recent TSMC fab shutdowns as an opportunistic, non-targeted event. “It looks like it was caused ultimately by the WannaCry virus, yet after all that time, [the virus] was still effective in spreading by hitting production,” he said. — Ann R. Thryft is the industrial control & automation designline editor at EETimes. Additional reporting by Nitin Dahad, a European correspondent for EE Times.